Stylish low mileage pickup truck that can handle any job. Truck features include 5.7L Hemi V-8 engine -- automatic transmission -- 1/2 ton chassis -- power windows -- power door locks -- tilt steering wheel -- cruise control -- power mirrors -- AM FM stereo with USB and auxiliary input ports -- split cloth bench seat with folding center console -- vinyl flooring -- 8 ft. bed -- bed liner -- receiver hitch -- steel wheels and more. Tires are good all around and this truck drives like a new one! 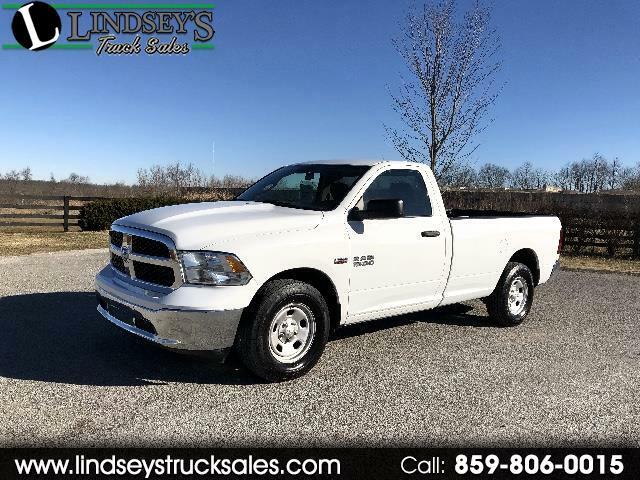 Off lease fleet maintained truck with full bumper to bumper warranty!